Free pony for every American!!!! 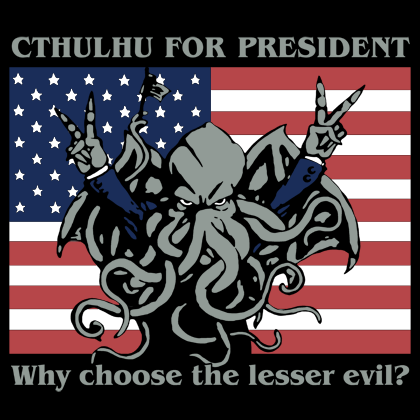 Because Cthulhu would be WAY worse. <3 I'm naming mine sprinkles! For real writing Vermin Supreme in? It's freedo, do you have to ask? Yes. Unless I spontaneously move to New Hampshire, where he's actually on the ballot. I just don't think we can afford another term with Obama. We have to pick someone else regardless of how terrible they are OR I just don't think we can afford another Bush. We have to pick someone else regardless of how terrible they are! He'll bring the McRib back.